My husband was at Bukidnon last week and he brought me a bag of lettuce when he came back. The lettuce was so fresh and was thinking how to finish them all in a week. Gladly, we just consumed all the lettuce in just 3 days. 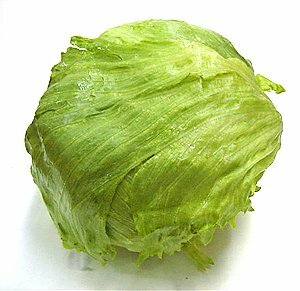 Lettuce is one of my favorite vegetable. I can eat it without a salad dressing or mayonnaise. If you haven’t tried eating lettuce, now is the right time to try it because it has plenty of nutrients which may be beneficial for your health. So what are the nutrients you get from eating lettuce? Eating lettuce is a good source of your daily fiber. A cup of raw leaf lettuce has 1.3 grams of fiber (UIE). Also you will get vitamins C and A from eating lettuce. Calcuim, pottassium and iron are also present in a raw leaf lettuce. Moreover, a cup of a raw leaf lettuce contains nearly 1 gram of protein.